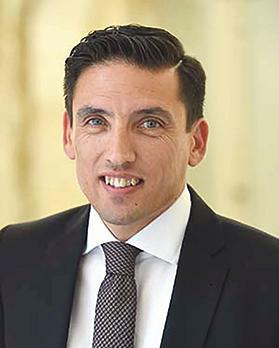 The former Labour mayor of Rabat, Frank Fabri, was investigated over serious corruption claims in 2010, the police have told The Sunday Times of Malta, but he was never charged as “the prime witnesses against him were undergoing criminal charges in court”. Legal sources said that the police’s reasoning for not pressing charges against Mr Fabri – who today is Permanent Secretary at the Education Ministry – was “odd” and not in tune “with the usual practice adopted by the police in similar cases, where they allow the court to decide whether or not corruption exists after they have filed the charges”. Light on corruption claims against Mr Fabri was indirectly shed last week in a court sentence that acquitted John Borg, the owner of a cleaning services company, over charges brought against him by the police in 2010, of corrupting Mr Fabri back in 2006. According to the proceedings of this case, which were never reported in the media, in 2010 the police had accused Mr Borg of corrupting Mr Fabri over a public cleansing contract when he was mayor of Rabat. The proceedings show that Mr Borg had told the police and other parties that he used to pay Lm150 (€345) a month to Mr Fabri in connection with a contract he had been awarded by the Rabat local council. Mr Borg, who had also provided the police with recordings of telephone conversations in which he had recounted his dealings with Mr Fabri, also claimed that Mr Fabri had afterwards asked him for an increase and to start paying him LM250 (€575) a month. According to Mr Borg, after he refused, Mr Fabri terminated his contract. When Mr Fabri was confronted in court over these claims, he chose not to reply to questions. Lawyers explained that normally this right is given to witnesses when, through their evidence, they could be incriminating themselves. In the same court case, which found Mr Borg not guilty of corrupting Mr Fabri on technical grounds, another witness, Noel Agius, confirmed that Mr Borg had told him about corruption involving Mr Fabri. Criminal lawyers told The Sunday Times of Malta that once the police were so convinced they should charge Mr Borg of corrupting a public officer (Mr Fabri) they couldn’t understand why no charges had been brought against Mr Fabri. “As far as we know, corruption needs two people to take place,” they commented. It is up to the police to decide whether or not to press charges in court. Asked by this newspaper to state whether he had received any bribes from Mr Borg when he was mayor of Rabat, as claimed in court, Mr Fabri did not reply. Neither did he say whether the police had investigated him. He said only that “the court judgment confirms the unfoundedness of the allegations and my innocence”. On their part, the police confirmed that “Mr Fabri was interrogated and investigated,” but never charged. It is not known whether the Attorney General will be appealing the case against Mr Borg. The police said they had passed on the case file for the AG’s final decision. Mr Fabri, a teacher by profession, was a popular mayor of Rabat but he resigned suddenly in 2007 to take up a directorship post at the Education Ministry. The alleged case of corruption took place in 2006. Following Labour’s return to power, in 2013, Mr Fabri was promoted to Director General at the Education Ministry and then to Permanent Secretary. What resulted from the court’s decision? In 2010, the police accused Mr Borg of “corrupting Frank Fabri – mayor of Rabat” in connection with public cleansing tenders. Mr Agius told the court that “Mr Borg told him about mayor Fabri, and that Fabri was asking him for Lm150 a month which Mr Borg started paying and that afterwards Borg refused to pay Fabri an extra Lm50 – 100 a month”. Mr Agius told the court that “according to Mr Borg, after he refused to pay more money to Fabri, the Rabat council terminated his contract”. Mr Agius said Mr Borg had told him “he was ready to confirm all he was saying under oath in the presence of Mr Fabri. However this was never done as Fabri resigned from the local council”. Noel Cini, at the time acting executive secretary of Rabat local council, told the court that he had “issued default notices against Mr Borg’s company to stop his contract due to bad workmanship on the orders of mayor Fabri”. Mr Fabri chose not to reply to questions on the case in court and no other witness was produced by the prosecution to give evidence on the alleged corruption of Mr Fabri by Mr Borg. The prosecution exhibited an audio recording with Mr Borg recounting how he had corrupted Mr Fabri but according to the court “no proof was produced to confirm that the person in the audio recording was Mr Borg himself”.